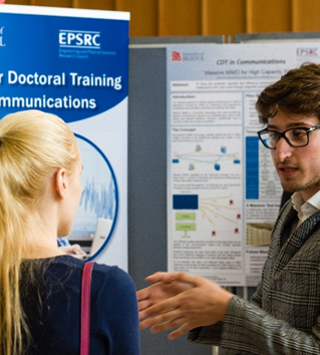 The EPSRC Centre for Doctoral Training in Communications was launched in March 2011 following a competition by the UK Engineering Physical Sciences Research Council (EPSRC) to host the only UK CDT in this subject. EPSRC invested £2.2M with collaborative investment by over 25 industrial partners and the University of Bristol generating the remaining costs of the £10M Centre. 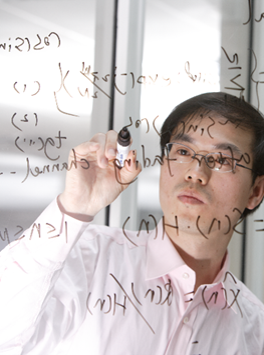 The CDT received renewal funding from EPSRC to secure its future until 2022. The Centre is increasing the UK capability in this key area by addressing the skills shortage in the sector. The University of Bristol, has been a world leader in this field for over 25 years. The Centre mission is to produce a new type of PhD graduate: one who is intellectually leading, creative, mathematically rigorous and who understands the commercial implications of their work; people who are the future technical and business leaders in the sector. 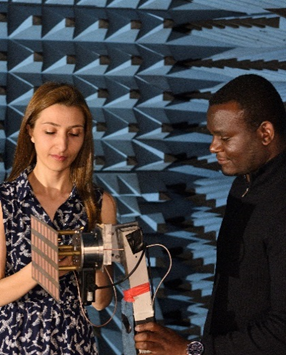 As well as producing innovative solutions to key emerging research challenges, the Centre is helping to provide a coherent advanced training network for the communications community nationally, and develop the skilled and entrepreneurial engineers needed to underpin the future of the industry. The CDT staff work closely with the student cohort and companies to ensure an intellectually exciting environment in which their skills can be developed and advances made in technology. Further details of the students’ achievements can be found in the ‘Research outputs’ and ‘Awards and activities’ section above.